This movie is available free on Youtube..
" He who gets information earlier makes money "
" If one is full of tolerance he will be generous if one is free of greed he will be fearless"
China was humiliated by British forcing them to sign an agreement where Hong Kong was transferred to British Empire. The whole episode start with a good hearted army commander Lin Zexu start to really destroy opium trading in China. British Empire was at a trade defeicit with China as British were buying tea from China in a massive scale yet China was not buying much from China. Yet China was the biggest buyer and as said in the movie if every Chinese reduced one inch from the shirt sleeve many British factories should have closed down. British Empire found a solution. That is selling opium to China. 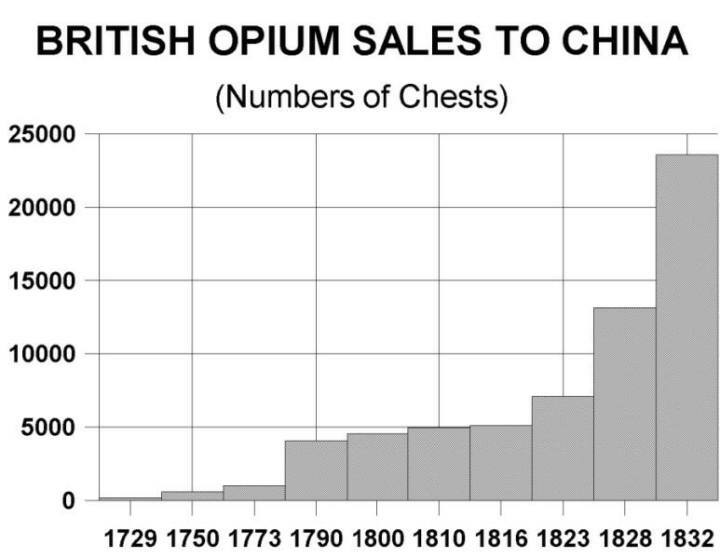 Chinese got addicted to opium and the trade deficit started to favour Bririth with that. China became a sleeping giant. The emperor wanted to destroy this opium Monster yet the bribe taking custom officers, whole bunch of Chinese businessmen were backing opium trading which make them Rich and the country Poor. Commander Lin Zexu did an excellent job and openly destroy Opium and chase out British from the Land. His success was short. Queen Vitoria state if every other country and colony start to use trading accounts to their favour British Empire will collapse and send a massive marine force to China. China could not face British marine force where one War Ship of British could sink almost all marine force of China. China was forced to sign an agreement to repay all the damages coursed to opium , 6 million taels and to to hand over Hong Kong. This humiliation defeat is taught in China to make their future generations understand and to learn from mistakes. During JRJ's era India first tried to come to SL with boats. SL took aggressive stand. Next India violated the sovereignty of SL by air dropping of dhal and JRJ was forced to sign the most humiliated agreement in SL. I could not resist remembering the efforts by a sailor to attack Rajiv Gandhi and Provincial councils. 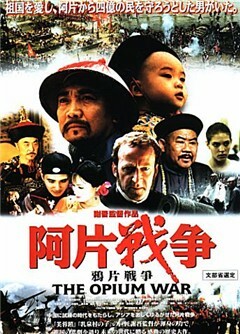 Opium War movie shows a fascinating fact..
" How does the British deal with opium in England ?" The answer is rather unusual. English men do not export Opium to England and no do they manufacture it there. England has a country is Opium free. Opium is produced in India and exported to China. Then there was another Opium War and after the second Opium war a commercial banks was established to fund the Opium business mainly. That bank is called HSBC. HSBC’s first wealth came from opium from India. After the second opium war (1856-60), the British and French imposed territorial concessions under foreign administration, the opening of Chinese ports to foreign trade and the legalization of the opium trade. When Sutherland began the Hong Kong and Shanghai Banking Corporation, the conflict had been over for five years. The Chinese characters in the transliteration of its name are auspicious, and can be understood to mean gathering wealth. There is a nice dialogue in Opium War. 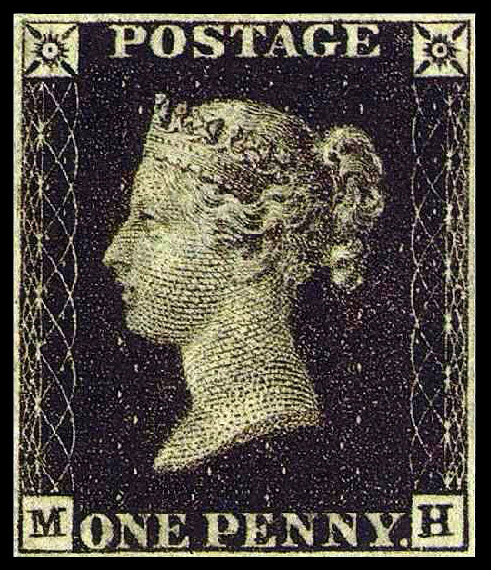 A portrait of Queen Vitoria is shown to her and ask her permission to put that in a stamp. A Lord in return says " there are enough beautiful ladies but only one Queen in British Empire"
Queen Victoria in return says " Thank you Melbourne for being honest. " " Let all colonies have this stamp and where ever the sun rise there will be this stamp"
Surprisingly I received a letter yesterday and it was stamped with the same stamp and in addition Postal Day is written..
Are we a Colony of Britain ( even now) l ? මරිජුවානා භාවිතය නීතිගත කිරීම සඳහා ලොව පුරා පැතිර යන රැල්ල නිර්මාණය කිරීම සඳහා සෝරෝස් පදනම ආදී රාජ්‍ය නොවන සංවිධාන විශාල කාර්යභාරයක් සිදුකර ඇති බව රුසියානු මත්ද්‍රව්‍ය නාශක ආයතනය වන FSKNහි ප‍්‍රධානි වික්ටර් ඉවානොව් පවසයි. ඔහු පවසා ඇත්තේ ඇමරිකාව තුළ මුලින්ම ඇතිවූ මෙම ප‍්‍රවණතාවය විදෙස් රටවල් සඳහා අපනයනය කිරීම වෙනුවෙන් සැකසූවක් බවයි. ඇමරිකාවේ ප‍්‍රාන්ත තුළ ඖෂධීය මරිජුවානා භාවිතය නීතිගත කිරීම සඳහා පැවැත්වූ ජනමත විමසුම් ස්පාඤ්ඤ භාෂාවෙන් සිදුකිරීම මගින් මෙය ලතින් ඇමරිකාව සඳහා සූදානම් කරන ලද්දක් යන්නට සැක පහළ වන බව ඉවානොව් පවසා තිබේ. ලන්ඩන් ආර්ථික විද්‍යා පාසල ඇතුළු ආයතන ගණනාවක් නිකුත් කළ වාර්තාවන් සඳහා සෝරෝස් පදනම විසින් අරමුදල් සපයා ඇති අතර මැක්ආතර් පදනම වැනි ඇමරිකාව පදනම් කරගෙන ක‍්‍රියාත්මක වන සංවිධාන වල අනුග‍්‍රහයෙන් මරිජුවානා නීතිගත කිරීමේ රැල්ල මේ වන විට දකුණු හා මධ්‍යම ඇමරිකාව පුරා ව්‍යාප්ත වී ඇති බව ඔහු සඳහන් කර ඇත. පසුගිය ජූලි මසදී රුසියාව විසින් සෝරෝස් පදනම හා මැක්ආතර් පදනම අසාදුගත කිරීමට කටයුතු කරන ලද අතර එවැනි සංවිධාන වල සාමාජිකයින් රුසියාව තුළ සිය ව්‍යාපෘති දියත් කළහොත් වසර 6ක් දක්වා සිරදඬුවම් ලබාදිය හැකිවේ. Wealth, influence and corruption collide in this drama set in New York. Shrewd U.S. Attorney Chuck Rhoades is embroiled in a high-stakes game of predator vs. prey with the ambitious hedge-fund king, Bobby Axelrod.To date, Rhoades has never lost an insider trading case -- he's 81-0 -- but when criminal evidence turns up against Axelrod, he proceeds cautiously in building the case against Axelrod, who employs Rhoades' wife, psychiatrist Wendy, as a performance coach for his company. Wendy, who has been in her position longer than Chuck has been in his, refuses to give up her career for her husband's legal crusade against Axelrod. Both men use their intelligence, power and influence to outmaneuver the other in this battle over billions. The high-profile cast is led by Emmy winners Paul Giamatti ("John Adams") and Damian Lewis ("Homeland") as Chuck Rhoades and Bobby Axelrod, respectively. After seeing Cinderella of Enoka Sathyangani last Sunday I came across some similarities among our radical film directors. 5. Target market is Foreign Film awards and not SL crowd. So all films like Babara Walalla, Aswasuma, Wisisdala, Meeharaka, Siddilage Kathawa, Thani Thatuwen Piaybanna, represent above themes. However the recent trend is our Directors like Ashoka Hadagama, Enoka Sathyangani and Jayantha Chandrasiri have taken a U turn. Their recent movies are not targeting foreign market. They target local crowd. They are no more showing indecent activities of Sri Lankans. Now what they show is fantasy of Infra structure development, Perfect road network with disciplined driving, care free youth enjoying in Hotels, beauty of SL nature are now focused through their camera lens. Samanala Sandwaniya showed the magnificent change took place within our life time. Decent behaviorus, clean pavements, disciplined driving on well developed roads, sea-planes are shown. Enoka's Cinderella is an incomplete story almost showing attractive hotel industry and tourism will not provide her Foreign Film Festival awards. Ahoka Hadagama's Vidhu as well as Ini Awan is also different from earlier version of him. Guru is a 2007 Indian drama film loosely based on the life of Dhirubhai Ambani, a business magnate who founded Reliance Industries. The film was co-written and directed by Mani Ratnam. It stars Abhishek Bachchan, Aishwarya Rai, R. Madhavan, Vidya Balan, Arya Babbar, Mithun Chakraborty in the leading roles. The film also has Mallika Sherawat in a guest appearance. The score and soundtrack for the film was composed by A. R. Rahman. When Meiji Emperor ( a fourteen years old boy) took power, a clan of Samurais decided to usher the country to Development by copying the West. Another clan of Samurai's were against this move and the story is based on the power struggle between these two. Even though we don't like of changing values, it is Ito Hirobumi and the Samurai clan really made the change in Japan .. The Revenant won three Golden Globe Awards, five BAFTA Awards and some other awards. story:While exploring the uncharted wilderness in 1823, frontiersman Hugh Glass (Leonardo DiCaprio) sustains life-threatening injuries from a brutal bear attack. When a member (Tom Hardy) of his hunting team kills his young son (Forrest Goodluck) and leaves him for dead, Glass must utilize his survival skills to find a way back to civilization. Grief-stricken and fueled by vengeance, the legendary fur trapper treks through the snowy terrain to track down the man who betrayed him. Thanks Charith.... enjoyed this movie about surviving alone. YK, have you seen the film " One flew over cukoo's nest". Great one. It has dominated the 1976 academy awards,Golden globe and BAFTA with major awards. It seems your selections are good...I will see above too..
charith666lk wrote: YK, have you seen the film " One flew over cukoo's nest". Great one. It has dominated the 1976 academy awards,Golden globe and BAFTA with major awards. I was barely 14 years old, I went and saw this at the Regal Cinema twice. I had read the book a year before and was fascinated with the film version. Jack Nicholson gave a stellar performance, but Louise Fletcher gave a chilling portrayal as the wicked head nurse with minimum facial expression, in a way that I never imagined reading the book. I cried at the end both times. BS you had a excellent understanding of life as a 14 yr teenager.. What an amazing and unexpected ending.. I found this article in internet and worth to read it. Either you should have been adventurous since your childhood.. I am still reading the thread from end to start. I have a feeling BS has stuck in the wrong place; he should be generating films instead of trying out other stuff (but remaining in the forum of course). When watching some of world-class films, I always wonder why there are not many of our films go in to that level these days (I have watched few in the past; but now the quality seemed to have come down). One reason, as I think, is that people with a good understanding of life, gathering of experience and human qualities such as BS are not coming in to the film industry. By looking at his 'avatar' here, I see some hidden subconscious level 'urge' trying to come out as a movie maker. Whenever, I watch 'Lord of the Rings', always think of why can't we (Sri lankans) produce a similar quality historic film based on 'Konappu Bandara', at least an animation film if we cannot find proper 'real' resources. In fact, I mentioned this to Mr. Jayantha Chandrasiri, (who did the recent film about king Dutugamunu) when I accidentally met him. He, in fact, had done some preliminary research work on that including visiting some places in India to gather info. But, in my view, while his work can be classified as excellent dramas, not really giving the feeling of a great movie (my personal view). Why can't we us in this thread do some initiative work? I see some excellent enthusiasms and back grounds here. May be some of you are waiting for some motivation to appear. Everyone has his own strengths and weaknesses; sometimes-strengths can become other-time-weaknesses as well. I am happy to see very similar interests here with valuable capabilities and experiences. Cartoon film will be a great idea YK; if still interested, I think, we can identify what went wrong the first time and restart it. For whatever artwork, I think, the theme and the conceived message plays an important role for its success in both aspects; successful production and successful with the audience. One accept behind a successful movie, as I have noticed, is a consistent and appealing story-line. 'Lord of the rings' is a good example. It's a fantasy fiction fixed together accurately than most of the 'true' stories. Wonder if in anywhere, any movie is developed by a team worked only in 'cyberspace'. Usually, in similar cases, what happens is; parents are too busy to spend time with the child, and the child befriends with and try to follow some elder brother or an elder relative or a friend, so maturing than his peers. It can go either way: good or bad. I guess in BS's case, the first was true. Aaah this is scary and a bit embarrassing, I feel like I am on a couch with Sigmund Freud and Carl Jung both looking at me with x-ray vision. I think you guys are reading too much from my ramblings, as my name backstage implies, I am more comfortable behind the scenes than in the spotlight. Most of your speculation is somewhat right, but nothing is Black or White as YY's moniker suggests. Yes my family was in the performing arts and were into books, when my classmates were doing A/L's I was working full time and living with a woman. I did start studying film production when I was about 30, but had to give it up after one semester due to some family issues. I am a sort of "Jack of all trades but master of none" kind of guy. I can easily trick people into believing that I am a wise guy as I have had the privilege of hanging out with real wise guys, as in here too. I love movies but I feel that theater is the higher art. Though I appreciate and indulge a bit in art, It does not excite me as it used to, as I am now convinced that the liberation of humanity is within ones self, hence my focus is inwards. A lot of my knowledge on art and music is dated , as I gave up trying to be upto date about 15 years ago. That is more than enough about me, I am starting to feel a bit naked. The best Sri Lankan film I believe is still the first "real" film made here, Rekava. Even if it was made 25 years after it was made, it would still be the best apart from its tranformative impact on Sri Lankan cinema. Waiting for something to come up and take its place. You might be interested to know, Kuru Gunawardena (brother of Sumithra Peiris) in the early nineties or so, rented a house at Kadugannawe and housed a team of writers and developed a script for an epic on the life of Robert Knox. Though the script got written, the funding dried up and the project never took off. Kuru also died shortly afterwards. So if anyone is looking for a historical script, this could be a hidden gem waiting to be found. Apparently it scrutinized Knox's background and baggage incisively. The elephant in the room as far as Sri Lankan Cinema is concerned is that we do not have a film academy.